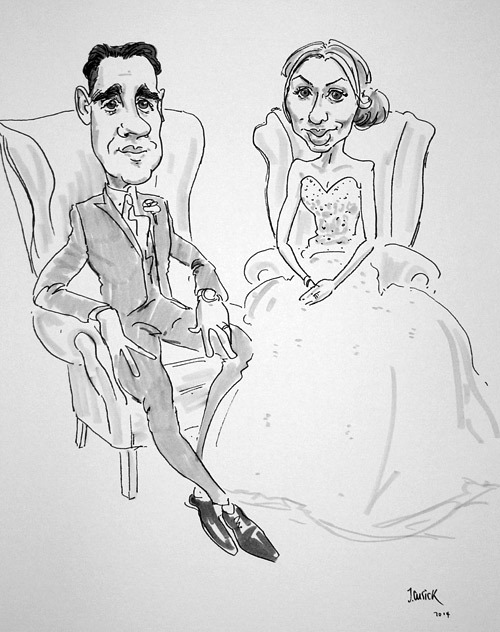 A Bride and groom caricature from a wedding at Callow Hall, near Ashbourne in the Peak District. This is an A3 full figure drawing for a unique momento of the day. You can book the caricaturist to draw at events throughout Derbyshire!